As the Democrats roll out one centrist candidate after another and roll up loss after loss, here’s a suggestion for how they might get over the top. “We, the Democrats of the United States Congress, along with our friend, the Honorable Bernie Sanders of Vermont, stand united in our support of Representative John J. Conyers, Jr. and his bill, H.R. 676. Furthermore, the Congressional Democratic Delegation does hereby state that we are 100% for single-payor universal healthcare which we call Medicare for ALL. We commit that is our stated goal which we will not back down from. We may lose some battles and skirmishes along the way, but we will not stop until Medicare for ALL is the law of the land. Bernie Sanders (I-VT) has been a supporter of John Conyers Jr’s (D-MI) H.R. 676 since 2004. Mr. Conyers introduced the bill in 2003. People may not realize it because Senator Sanders gets all the noise, but Representative Conyers has proposed H.R. 676 in every session of Congress since the 108th Congress in 2003. (We’re now in the 115th Congress.) At the time, Senator Sanders was the at-large US Representative from Vermont and he co-sponsored H.R. 676 beginning in 2004. American citizens need to demand that politicians stop playing with our lives. Give us some information and then turn us loose on the 535 (542, if Puerto Rico is admitted as the 51st State) men and women of the United States Congress with our opinions of which we prefer. The National Democratic Party is going to be a dead animal if it doesn’t figure out how to inspire voters at the street level. Clearly, it’s not happening now. The widening gap between rich and poor screamed out everywhere from the Goop festival to the blaze that claimed lives in West London. 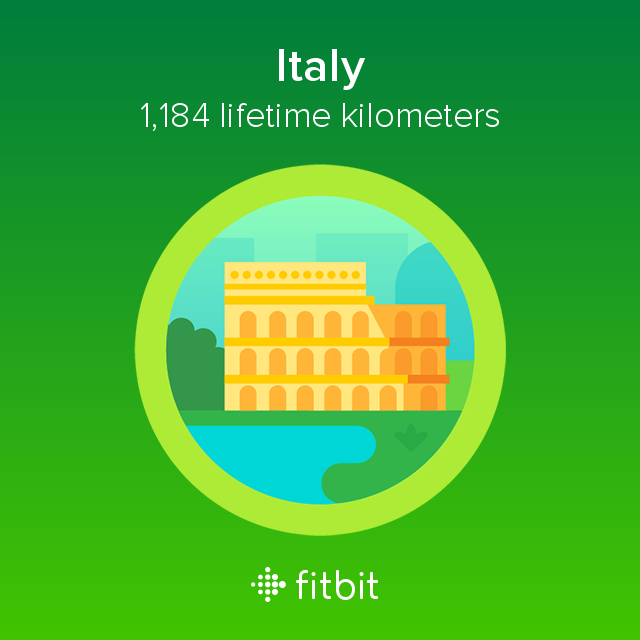 I covered 1,184 kilometers with my #Fitbit and earned the Italy badge. I missed this feature when it was published. I missed it again during Black History Month. However, I saw it while researching an essay. The story of the week is Trump, Russia and the FBI. I was first exposed to Mahershala Ali in an early USA Network cable TV series, The 4400 (2004-2007). Since that time, I’ve seen him in a number of projects including House of Cards and Marvel’s Luke Cage. Mr. Ali has always impressed in whatever role he played. It’s great to see him get some acclamation. This self-portrait in the Hollywood Reporter increases my respect and admiration all the more.